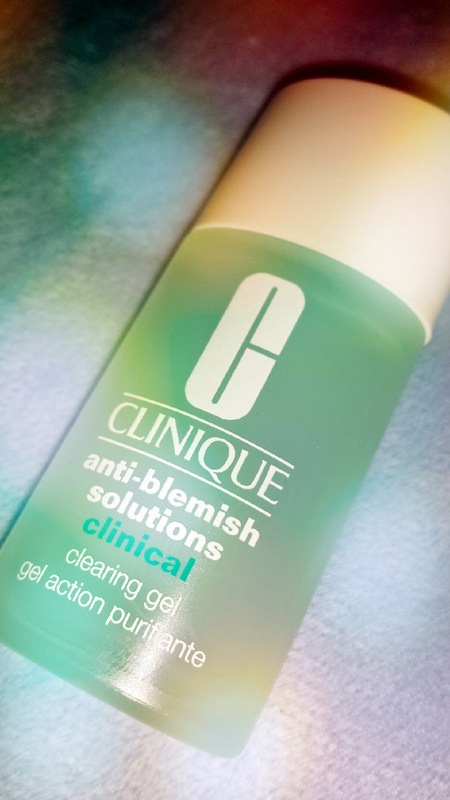 Clinique’s Anti-Blemish Clinical Clearing Gel is a lightweight blemish fighting gel. The product claims to begin fighting spots upon application and that it also prevents future breakouts. As well as fighting spots, this gel also helps to reduce redness on the face. 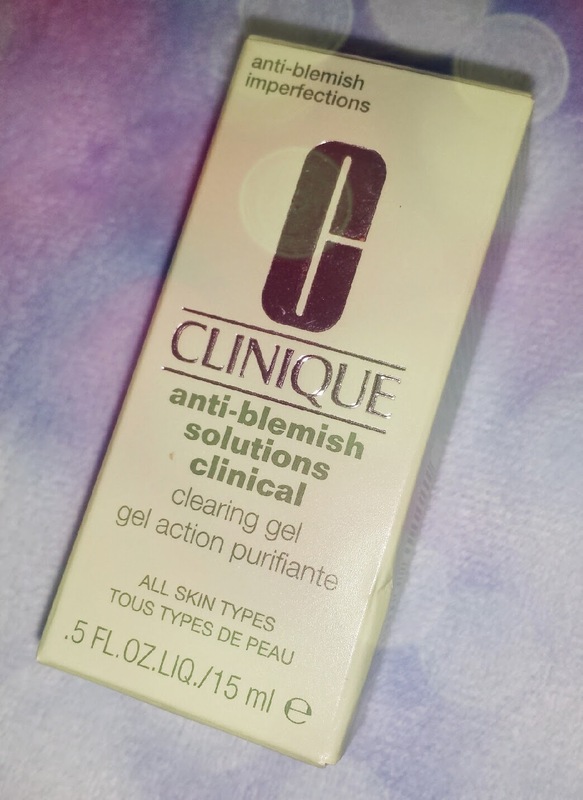 If you are a regular reader of my blog, you would probably have seen my post last month discussing Clinique’s Anti-Blemish All Over Clearing Lotion. 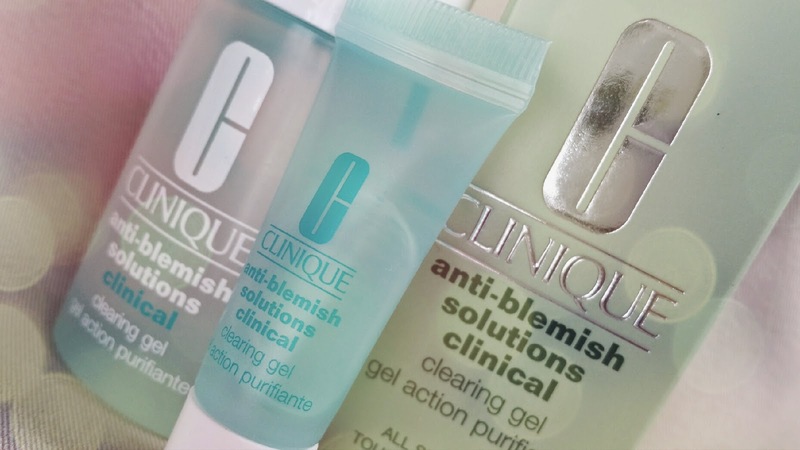 Within that post I also mentioned that I had been testing Clinique’s Anti-Blemish Clearing Gel also and that I was getting some good results. After using the gel twice daily since that post, I wanted to share with you my thoughts on the gel now and how it has worked over that time period. This gel is a clear and has a slightly watery-consistency. It’s obviously a lot thicker than water so it doesn’t just come out like you’re pouring water out of a bottle, but it is more watery than the consistency of something like toothpaste, for example. This gel can be applied in a thin layer all over the face after cleansing and underneath moisturiser, or dabbed on spots if you are using another spot treatment. I use it all over the face before moisturiser. Due to the thin consistency, I apply this a bit at a time. The gel absorbs into the skin so quickly that even doing a bit at a time doesn’t take long. I have tried using enough to cover the face and applying it all at once, but that usually results in me having too much on my skin. At least using small amounts at a time and applying it to certain areas of your face in turn means that you won’t be using too much and you can be assured that nowhere is missed. Therefore, in regards to how much time this adds to your routine, you really aren't looking at much time added at all. After using this, your face can feel a little tight at first. It doesn’t happen every time and I’ve never found it to be at the point of discomfort, but this tends to subside when followed with your moisturiser. When I first began to use this gel, I found that any redness on my skin from past blemishes started to clear up. This impressed me, but as I was using a sample tube at the time, I figured that I would purchase a full size to test it out for a bit longer. 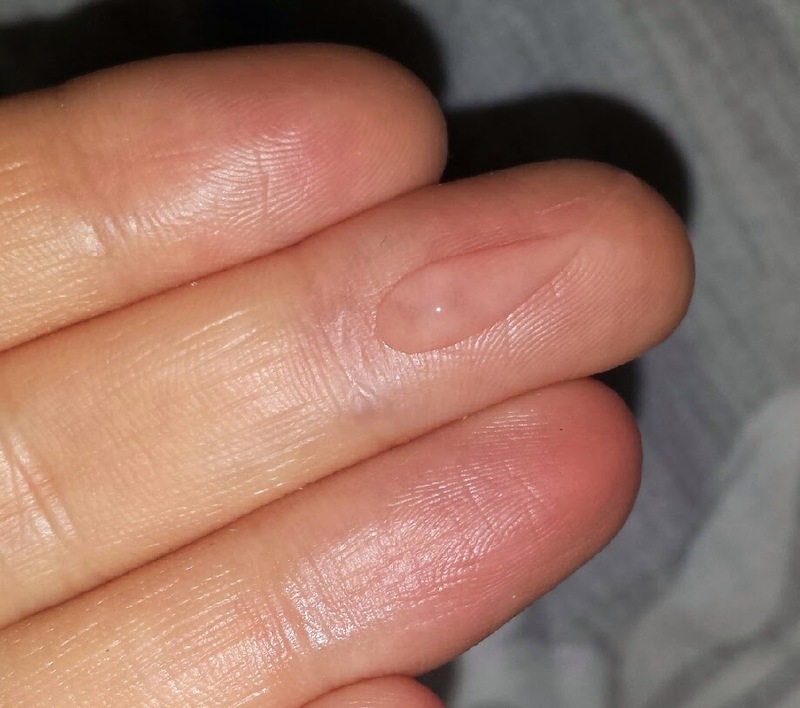 After a few days, my skin broke out rather spectacularly. 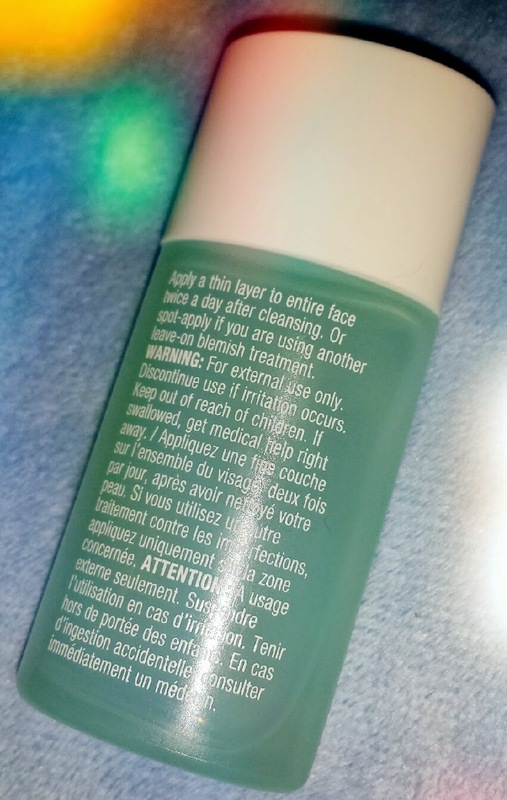 I don’t think that this is down to the gel, but I have my suspicions that it could be down to using my Body Shop Beautifying Oils on my face (if you read that post you will see where I mentioned that I was nervous about that very thing happening). Therefore, I stopped using the oil and figured that this was the best chance I was going to have to see what this gel was really made up of. I am really pleased to tell you that it significantly sped up the healing time of my breakout! It didn’t clear them over night or anything, but you could see the difference and that was good enough for me. Then, however, something really unexpected happened. After that break out, I didn’t seem to have any blemishes at all for a while. Now, for me, that is a total shock. 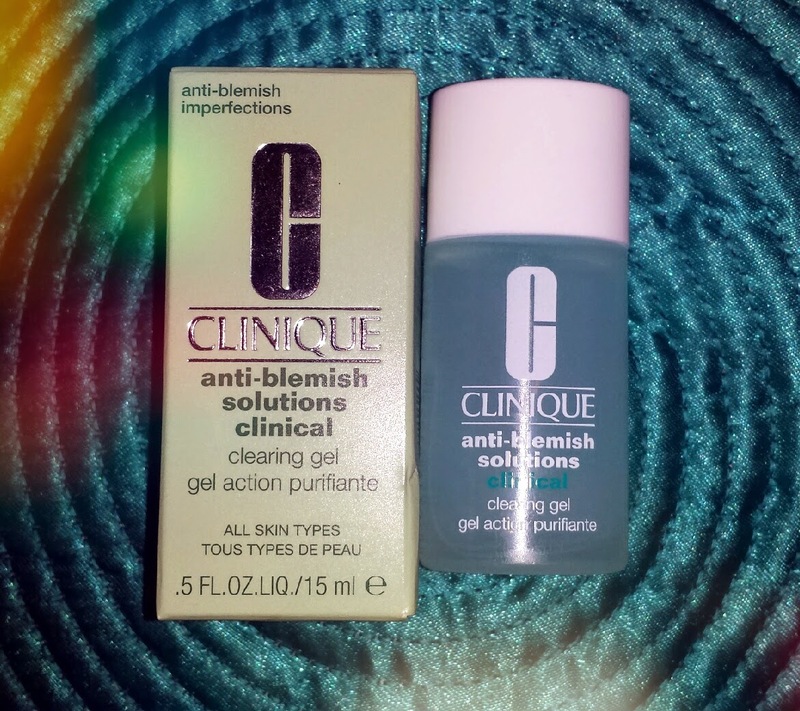 Usually I have a couple of small blemishes (sometimes you can hardly notice them, but when you know they’re there they can be pretty annoying, even if they cover up easily with makeup), so having clear skin was a bit of an alien sensation to me. Eventually, a couple of blemishes appeared again, but there was no accompanying redness and it took me all day to even notice them because of it. That night, I applied the gel as usual and went to sleep. I woke up the next day and the blemishes that had appeared just the day before were completely gone! That was honestly the most impressive thing about this gel; I was in complete shock! I have never had a gel work that fast before! I didn’t think that it was even possible! Since then, this situation has happened a couple more times, but each time the gel has not let me down. The next morning, they were gone. The thing to remember with this gel is to only apply a thin layer. I know that it can be incredibly tempting to apply extra product when something begins to show signs of working (especially with spots that you are so desperate to clear up! ), but do only use a small amount. That thin layer works better than anything that I have ever tried, and that is saying something! When I first started my blog, I wrote a post about Soap & Glory’s Dr. Spot. 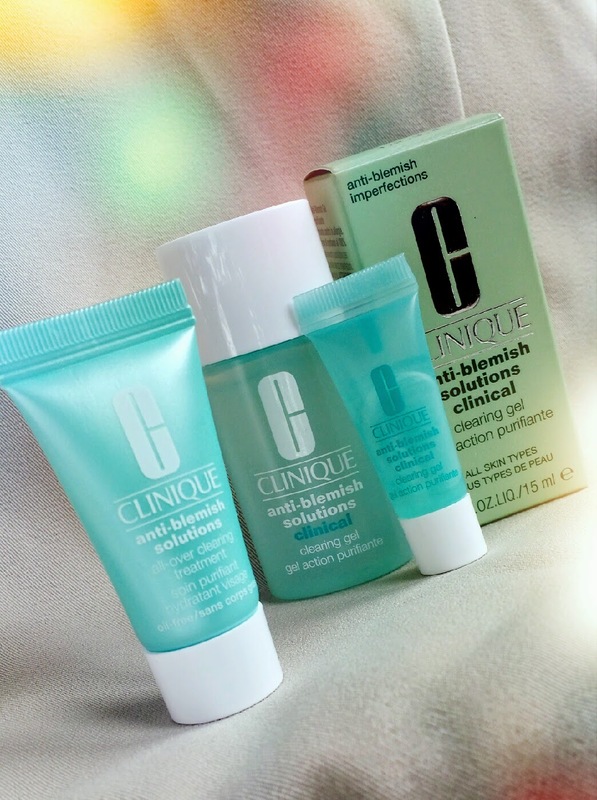 Whilst I stand by everything that I said in that post about how good it is, Clinique have just raised the bar so high that I don’t think that the long, strong jumping legs of Dr. Spot can ever reach a height high enough to reach that bar and compete with the Anti-Blemish Clearing Gel. With that all said, I do have one tiny issue with this gel. And that is just it - it’s tiny. Admittedly, I purchased the small bottle as I was still in testing mode, but the 15ml bottle that I bought still cost me £14. A 30ml bottle costs £20. Whilst I am ecstatic to sing the praises of this gel and scream about how it is worth every single penny (which it is), it is something that I can see putting some people off. The consistency of this means that - even using only a small amount - you can get through a bottle rather quickly. It’s going to be dependent on how high you prioritise this kind of issue. Somebody like me who has suffered from breakouts for so long and is totally at their wits end with them should 100% without a shadow of a doubt check this stuff out. Just be prepared to fork out the money. If you decide to fork out that money, you can pick a bottle up from Debenhams, Boots, or online from Clinique. If you want to test the gel out, you can always try asking for a sample at your local counter. After all, it’s all because of a sample given to me after my Clinique makeover appointment that literally transformed my skin! I LOVE this product! Great review! This product has worked amazingly for me in the past, and I don't know why I stopped using it to be honest... Need to get my hands back in this! I did the same thing with the Clinique Anti-Blemish moisturiser! I stopped using it and now I wonder why I ever did. The lady at the Clinique counter that I go to said some wise words to me about it though. She said that sometimes when something works well, you realise that something really can help and you get curious to see if you can find something that works better. Sometimes you do, sometimes you don't, but it's something that we all tend to gamble with! It wasn't those exact words, but the gist was the same!